The annual Wisconsin Bike Summit will take place in Madison on Friday of next week. 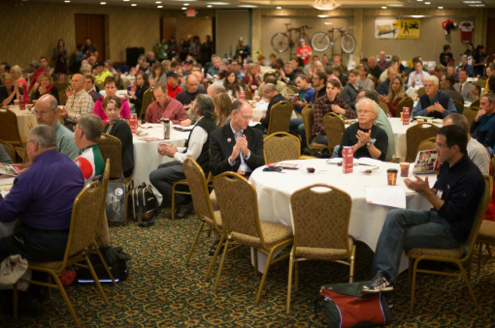 The Bike Fed organizes this wonderful event to bring together folks from all over our state in order to learn from each other and help make bicycling better throughout Wisconsin. I always look forward to the Bike Summit because it provides so many informative and inspiring presentations. I also relish the opportunity to chat with people from other cities and share stories about our respective triumphs and challenges. You can read my impressions about last year’s Bike Summit in this PPSP blog post. 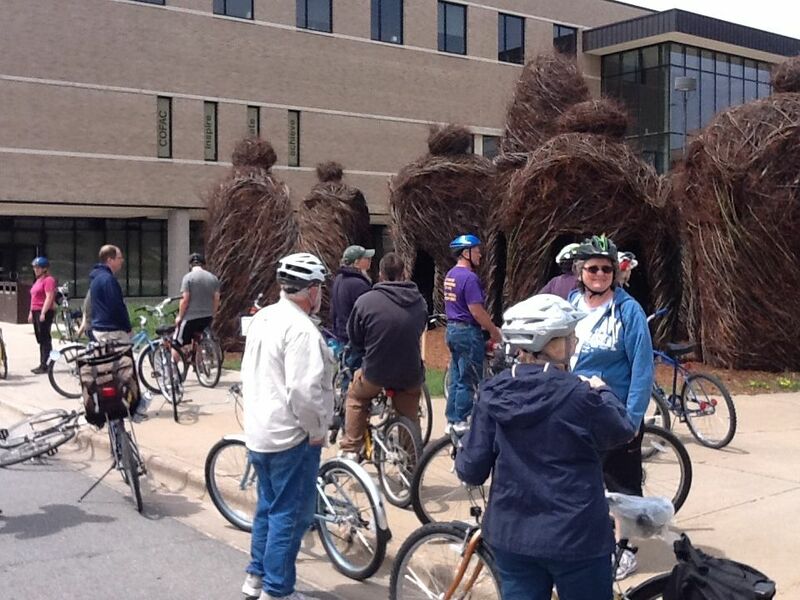 The Wisconsin Bike Summit will take place on Friday October 10 in Madison at Edgewood College. Presentations run from 9 AM through 5 PM, and during each of the session slots there will be 3 parallel topic options. The Bike Summit will end with a bicycle ride to the Capitol building – about 3 miles away – where a rally in support of bicycling will take place. You can see the full schedule of speakers and sessions on the Wisconsin Bike Summit Schedule webpage. equity, diversity, and inclusion: getting full community representation when striving to make bicycling better. Of particular interest to Poky Pedalers, the Bike Fed invited me to give a presentation about PPSP at this year’s Bike Summit. I will be speaking as part of a session entitled Community Rides: Biking for Everyone (Session Four, topic A at 2:30 PM). Bicycle advocates from throughout Wisconsin will learn how Bike Fun has been an effective way to get more people on bikes more often. This session will also have speakers from Madison, Milwaukee, and LaCrosse sharing their stories about building community through bicycling. I am thrilled that my efforts to create Bike Fun have drawn the Bike Fed’s attention towards Stevens Point. Yet it is humbling to be sharing a session with organizers of the wildly successful bicycling events from these other three cities. I am honored to be invited to speak about PPSP at the Bike Summit. Anyone may attend the Bike Summit, whether or not you are a Bike Fed member. Tickets are $35 for members and $40 for non-members. I’m pretty certain that this fee includes lunch (but confirm with the Bike Fed to be sure). Poky Pedalers can access this page on the Bike Fed website to purchase Bike Summit tickets. Later in the evening of October 10, the Bike Fed will be holding its annual Saris Gala fundraiser. Poky Pedalers who wish to attend only the Bike Summit may do so without purchasing a ticket to the Saris Gala. I hope Poky Pedalers consider attending the Wisconsin Bike Summit. It really is an exceptional event. You’ll gain a new perspective on how bicycling can make our city and our state better places to live. And if you drop in on my presentation, you’ll even have a chance to share in a bit of Bike Fun with PPSP. This entry was posted in All Posts, Education, Wisconsin. Bookmark the permalink.